BGO Casino: Get a 200% Deposit Bonus + 20 Free Spins For Free! Get the low-down on bonuses at BGO Casino! 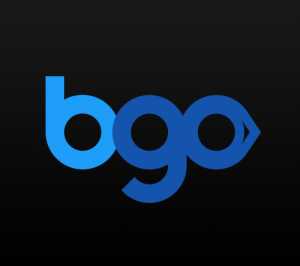 BGO offers an authentic Vegas experience in the comfort of your home or on the go with an emphasis on variety and security while playing. BGO just recently updated its front page, an update which has added a new level of polish to an already superb online casino. BGO Mobile is similarly updated to be just as welcoming to the average player. The support of well-known celebrities gives BGO an authentic Vegas experience that few other online casinos in the UK can offer. SlotTavern finds this site to be one of the best for a true casino experience. Sadly BGO decided to stop with the popular BGO no deposit bonus. We suspect they stopped with the popular BGO bonus of free spins no deposit due to recent regulations for the United Kingdom when it comes to online gambling. We are happy to announce though that you can still get a good BGO bonus it’s just a little different these days. The new BGO casino bonus offers new players up to 50 free spins or fair spins as their “mascot” the boss now refers to them as. The fair/free spins get triggered on your 1st deposit and you get fair/free spins for every pound that you deposit up to 50 GBP. The fair/free spins are offered to you with no max win limitations and no wagering requirements. If you want to deposit 50 GBP then you will receive 50 fair/free spins and if you only want to deposit 25 GBP then you’ll get 25 fair/free spins. Remember they will only credit up to 50 fair/free spins and this BGO casino bonus is only available on your 1st deposit. Once you are a BGO casino player you will be showered in great bgo casino bonuses like birthday bonuses and bonus through their loyalty program. BGO has all of the games available right on the splash screen, along with the jackpots updating in real-time for their progressive slots. Navigation is a breeze, with all of the games separated into categories based on playstyle. BGO is currently setup for desktop, mobile, and tablet viewing, giving players the choice to view the site in whichever way is the most convenient for them. BGO also offers a multitude of payment options: Visa, Mastercard, Maestro, Paypal, Paysafecard, and Neteller. This variety lets the player decide how best to withdraw their earnings and make deposits. With a wide variety of games to choose from, no player will ever be bored. Games are split into five categories: Casino, Vegas, Games, Macau, and Bingo. Casino simulates the experience that a player would have in a real casino, offering a sampling of slots, poker, roulette, blackjack, and live games. Vegas offers a more focused experience that is based around the variety that can be seen in slots. Games is a trimmed down experience that is tailored to players who want more interactive slots. Macau focuses specifically on live tables like baccarat and poker. Bingo gives players the choice on which type of bingo game they would like to play. Each game category has both an icon for each game, and the text, making it easily accessible for all kinds of players. BGO offers a stellar 2-hour response time for all queries sent to their support e-mail, as well as offering a physical address for snail mail. BGO also has a web form for their desktop users to use if they encounter any issues. However, BGO boasts a comprehensive FAQ that will cover most, if not all, issues that a player might encounter. This FAQ is accessible and frequently updated, encouraging players to check with each update. BGO also offers support for any players who might be concerned that they have an addiction; this level of compassion isn’t often seen by a company, making BGO one of the most trustworthy sites to play at.